Though this caused me to have to change out the SLI Bridge, because the LED's no longer matched. So, this is the 4th rebuild of my primary PC, Serenity. Primarily I was shooting for a color matched, showcase build this go around to appropriately and beautifully (in my mind) show off my hardware. Previously Serenity was an all Black/Blue NZXT build, but I switched to 980ti's in June 2015, and the fact that they didn't match really irked me, so I decided on creating an Nvidia / Corsair theme. The 5820K is overclocked to 4.5Ghz at 1.295v. The 980ti's are stock with EVGA backplates. 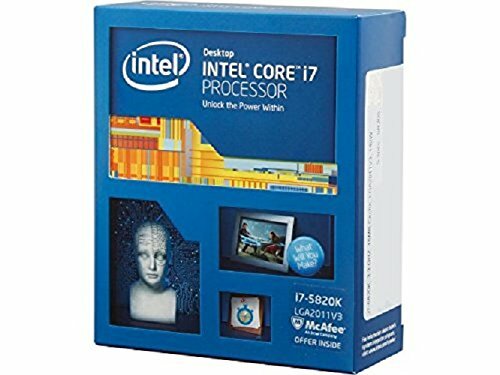 I use this build primarily for gaming and some programming. The only new parts in this rebuild were primarily aesthetic pieces, the sleeved cabling, the corsair AF 120's, the Lian Li PC-O8, and the H100i. AF 120: I used Rust-Oleum 249104 spray paint to paint the rings green, they came out decently well, and with the blue LED lighting in the case they match decently well, but when the PC is off, the colors do differ a decent bit from the green on the sleeving, and the Nvidia logos. I'm considering repainting them, but they look well enough when everything is on and thats good enough for me at the moment. H100i: I picked the H100i for this rebuild primarily because my previous cooler, the Kraken X61 from NZXT, does not fit in this case. It was a tough decision and I absolutely feel the X61 is the better cooler, but this one preforms well enough for my needs. I don't like how much the Corsair LINK USB cable sticks out of the CPU block, but again its manageable. The pump also tends to have rattle from time to time which can be annoying. Sleeved Cables: They are custom modular cables from ensourced.net (not extensions!) They are absolutely excellent, I recommend them to anyone wanting sleeved cables, and I use them on every build I do. Their quality cannot be understated. Lian Li PC-O8: This case is interesting to say the least, its absolutely beautiful and the footprint is actually quite manageable, I'd say even more so than my previous case the NZXT H440. Its most definitely a form of function piece though. This is the piece I would think most people reading this would be wondering about so I'll do a pro/con list of this case below. Like I said previously, this case is gorgeous, the full metal build, the attention to detail, as well as those smoked glass panels are just fantastic. Chamber Separation is well done, and thoughtful, there are grommets and cut outs everywhere you would expect them to be, making cable management a breeze on the front side. The included LED strips (3) and their controller are nice additions, the design of the case allows for them to be hidden well, and light up the entire case. The cables are also quite long, so you can put them anywhere you wish. They also aren't mandatory if you choose not to use them. The drive cage is excellent, and I wish more cases used this design, its quite modular and allows for you to pick the density of drives yourself, I also like the thumb screws used to hold the drives in place instead of latches, or sleds. Attaching the side/top panels is a dream. The metal panels attach via pins so you just snap them on, no screws no fuss. I love it. The glass panels use 4 thumb screws each that are easy to grip and look good. Air flow is awful, the components that could be passively cooled, receive 90% of all intake, and the parts that actually need that airflow, like the GPU's get nothing. Its unfortunate and causes them to ramp up quite high to keep temps down. This case is obviously semi meant for Liquid cooling, but the problem is there really isnt any room for that setup either, the back chamber is cramped as is, and adding radiators would only further that issue. edit After some additional cable management and shortening my cables on the back side you can easily fit a radiator in the rear chamber. Airflow for none liquid cooled setups is still eh but is fine for hybrid or full liquid cooling. There is no sound dampening anywhere, so when the fans ramp up (which they will per the previous issue) you will hear it. This isn't a huge deal, most cases don't have sound dampening foam, but coming from an H440 it was something to get use to. The LED strips use adhesive, and it doesn't appear that you can buy replacements. Per comments below it appears you can get replacements by contacting Lian Li support to buy them I ended up needing to move mine in the case already (to clean up cables) and I have a feeling Ill never be able to move them again without completely ruining them. The case only supports 120MM fans, which was slightly unfortunate for me, as my previous case (H440) was mixed, and allowed for more part variation. Its a little complaint, and probably wont be a problem for most people but it was still irksome for me. As I mentioned earlier, there's not a lot of room in the rear compartment for cabling. With the drive cage and PSU in place, there is maybe 3 or 4 inches between that cut off point and the front intake fans. This leaves quite the mess when it comes to cables. Be prepared to zip tie everything. I also really wish there was a dust filter behind the 3 intake fans to keep cables from getting pushed into the fan blades. As it stands if you're not careful your cables can push directly into the fan blades from behind. Even with some of those cons, I really, REALLY, love this case. It's absolutely beautiful and it's pros, and looks definitely outweigh the cons. If you really like the case and don't mind its cost I definitely recommend it. Just take your time and plan everything out and you can make a true gem. Please tell me that 2.95V voltage on the CPU is a typo; I'm surprised its not dead already. Running a CPU core voltage higher than about 1.4 is extremely risky, I wouldn't be surprised if 2.95 killed it outright. I love how the green in the cable is slightly incandescent in the light. It just looks really nice in general. And I almost forgot, audio-technica rocks! and oh you know it! Audio-Technica / Sennheiser for life! I'll keep it in my bookmarks, though it'll probably be a bit before I can make me some custom sleeves (I don't really see myself getting a major upgrade for a year or so, or until something breaks). Actually they will make them for you, so no work on your part required. You just pick the colors, pattern (or a solid color), and the length you need, and they will craft them. I've been using their cables for at least 3 years now, and I couldn't be happier. Though if you do want to make them yourself they also sell the components! And I've definitely looked at this cans before, very solid choice. I actually just bought a pair of Sennheiser Momentum 2.0's a few weeks back and I love them. P.S. I see your a Bojack fan, and I totally approve. I'm a bit of a diy guy myself. Hey Nibslip, whatcha mean? Like a parts list or something more? nvm I got it but really nice build. Im really considering saving up for it during the summer and saving up to build something with the same case but different parts. Congrats on being featured! What a stunning case! Holy crap, that is one sick build! To think I saw it being featured with only 2 upvotes at the time. Clearly, you deserve the feature. P.S. 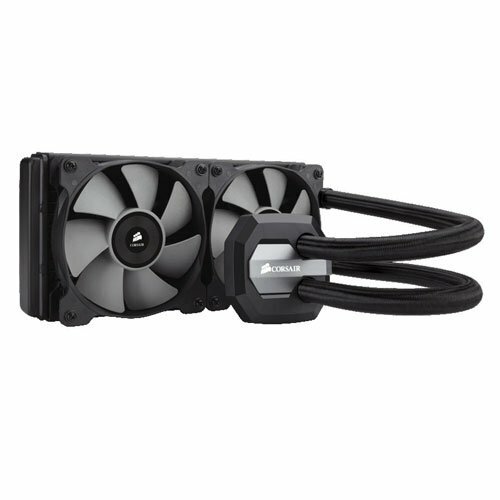 - Do you plan on water cooling the graphics cards? if you do plan on doing water-cooling, I actually recommend going through ekwb as they'll pre-fill blocks and stuff for you with quick disconnect tubes to make it easier and (similarly to your cables) less for you to do yourself and I'm pretty sure they'll do the same with the rad so it's almost as easy as an aio like the x61 or h100. 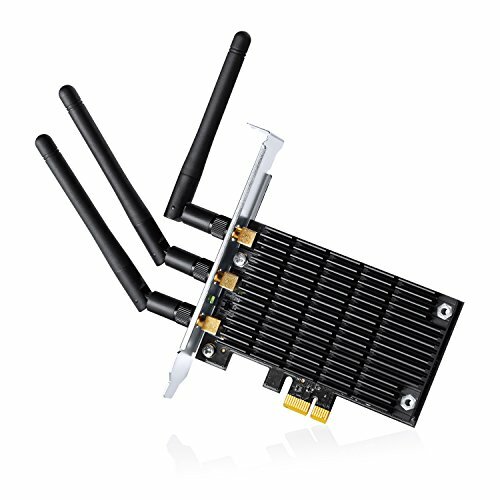 So funny story, I actually was looking at the EK Predator 240, with QDC, before getting the H100. The only reason I didn't get it was because those QDC's were white, and it didnt support SLI cards. (also because I'm super impatient and my local Best Buy had the h100i) BUT I may have another look in the future, or ill just do a full loop if I start feeling brave and adventurous! yeah i wish you could customize the qdc bits. i guess you could paint them probably if you wanted. Actually you could sli card's with the qdc even there's a few ways to go about it that would work alright i believe. I think I will be the first person to say that you, my good sir, are awesome. You sir are a gentlemen and a scholar and I appreciate your kind words! :) I'm glad you like it! Nice! Is that case windowed on all four sides? To answer your question, no its only the front and left side. The right side is brushed aluminum with the air vents for intake. A side effect of that though is the air vents give off a really sweet pattern on the wall of my room from the LED strips. That's really cool. Is there a cheaper alternative? To this case? From Lian-Li not really. But I think for a more budget friendly but similar build the Corsair Air 540 is a great choice at around $160. For Micro ATX the Air 240 is also really swell, and fits this design language. I've personally built in both and think they are spectacular. You are correct! I only quickly checked Corsairs website like an idiot. Good find! I have the Air 540 and it is a fantastic case, both to build in and to look at. Thoroughly recommend it! Really cool build! Nice job with the cable management and.... EVERYTHING ELSE lol. +1. Sir, that is a whole lot of awesomeness, and I'm not sure that case can contain it! I totally appreciate it! 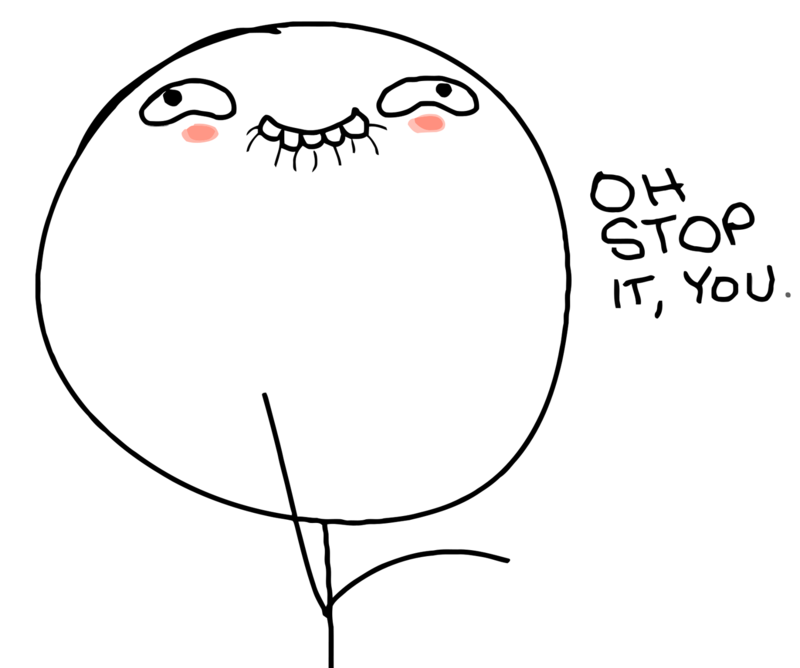 :D I'm glad you like it! I dig it! Very clean build, and the lighting... oooh.... yeah that happened. Nice night light. +1 on your rebuild. "Air flow is awful, the components that could be passively cooled, receive 90% of all intake, and the parts that actually need that airflow, like the GPU's get nothing. Its unfortunate and causes them to ramp up quite high to keep temps down." Looks like you have plenty of room at the bottom panel under the video cards to cut portholes for fans and install them with fan grill/filters to bring in clean cool air. I like using a 4.5" hole saw. It works great for 120mm fans and the hole is hidden by both the fan and the filter/grill. hm.. I never thought of that. Thanks for the idea! :) I may liquid cool though we will see what happens with pascal. You're welcome! If I left anything out you want to know about the case let me know! **! This looks SOOOO AMAZING! Phenominally great job here! I love it! +1 One of the most beautiful builds I saw at PCPP, awesome case and lighting! Is that a 4k monitor? And its actually 1440P, I originally was torn between 4K and this, but the ultra thin bezels, and just quality of the panel swayed me. Also windows still isn't fully ready for 4K, people will tell you it is, but the scaling and blurring of programs that don't support 4K drives me insane and I don't have the energy to mess with work arounds anymore. I definitely recommend this monitor though. When they threaten to discontinue them I'm buying a warehouse full of them. Seriously though this is amazing and i am literally blown away by how amazing this looks. Love the UV, it's understated but visually appealing. Very classy. I give this build a rating of "two syllable damn"...... Daayuum! Great looking piece there man! Wow, just Wow. This is one of the best looking builds I have seen and the cable management is superb. That being said the airflow looks to be not so good considering it's am almost $400 case (At least it could have more room for liquid cooling like you said) I love the color choice and everything else about this. If Lian-Li made few tweaks to that case ( better air flow and/or room for liquid cooling that case would be the best I have seen based on looks and cable management. Great build. If I can get my next build half as good looking as yours (w/ some airflow) then I would happy as hell. haha Thanks! :) That was actually one of my main goals this time around. Usually I promise myself I'm going to actually "Cable Manage" and then that goes right out the window. Honestly when I first put this together I had the LED's running out of the bottom grommets, and after a few days I decided I wanted nothing on the floor. So I had to basically take the entire thing apart to move those up into the top. Totally worth it though. And I would agree. The airflow in this case, especially for the price is pretty disappointing. I personally can live with the trade off, but I can see a lot of others not wanting it, especially if they plan on keeping the same build for multiple years for the sake of the parts. I really with the fans in the front were almost centered and gave air to both sides, but thats just me. This build gives me a hardware-on. Tremendous work, man! hahaha Thank you! :D I appreciate it! But seriously, its totally overkill. I love them to bits though. This is a beautiful build that I can stare at all day. I also truly appreciate your description. I enjoyed reading it very much despite the cons you have to deal with. You have my one for darn certain for your work of art. Your revision has paid off! In all honesty it looks amazing, too bad the liquid cooling wasn't too much of an option though. A light green coolant on a hard pipe build would be even more stunning. Honestly though I considered it, but with my lack of expertise on the subject at this time, I didn't want to rush it. Due to airflow in this case though, I'm definitely looking into it for the future. Nice build and it looks amazing! -Parts. All the parts are high end, and pretty well balanced. It would probably work really well in all tasks. Thank you thank you! :) I appreciate it! Part wise, I kinda went with what I thought fit what I needed but also matched well, and it worked out pretty well. Ram wise I know its totally overkill, but I wanted to fill all 8 slots. :P It does play / do everything like a dream. Then I go to work and use a rinky dink computer and just facepalm all day. Like Bruh, do you really need 6TB of Storage with the hard drives? How big is your steam library lol. SSD: has 168GB free. 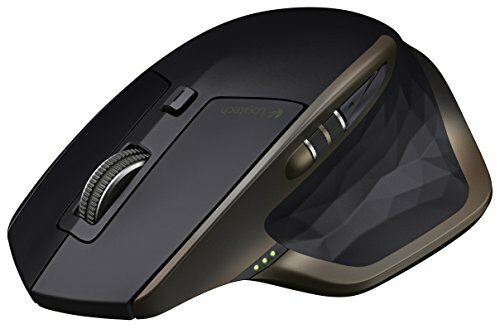 I use this for larger or my favorite games, and windows. First WD Black: 1.59TB free, I actually use this as a media drive, so movies, music, pictures, stuff like that. It was originally a lower specc'd drive but I picked another WD Black up to make them all match. 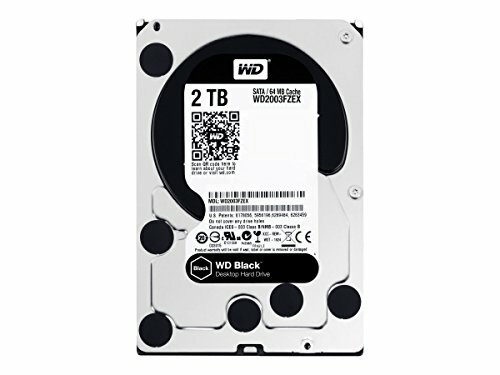 Second WD Black: 1.08TB free, this is my newest drive for games so its still got room to grow. Third WD Black: 420GB free, this is my original WD Black drive, and has the bulk of my games on it. You actually can order replacements for the LED strips. Well you'll receive it with the LED controller but Lian Li email customer support is the place to request. I've done it, it's 57 bucks, PayPal and they'll send it from China. Thanks for the info man! what are bad temps for you? my my gpus never go over 60. i have seen 62 once while really pushing the card on stress tests. i never have a problem with this case in cooling. but then again i have both liquid cooled gpu and cpu. if you do a smoke test you can see it gets good airflow. but awesome build! i came so close to buying two gpus. but decided im gonna wait for the next gen cards to come out. they are gonna have something like upwards of 128gb of ddr5 with barely any power requirements... some crazy stuff. and yes the led strips are adhesive but mine havent fallen off yet. 6 months deep. and i believe they do sell a replacement on lian li website. So usually they hover in their 70's being air cooled (while gaming, at idle its around 45), I've seen The Division push at least one of them up to 80 though which is unfortunate. I've definitely considered liquid cooling I just havent decided if I want to do as I switch out parts pretty often lol. I was considereing maybe getting the HG10 brackets from corsair and some aios, or if I get real crazy some hardline tubing. We will see. And I actually bought my 980ti's the month they came out last year, so waiting at the time would have been weird. Ill probably buy the new pascal cards at some point though, so I'm holding off on the above until then. In regards to the LED strips, in my initial haste, I put them on through the bottom grommets and then their was wiring running along the bottom. I left it that way for like 3 days and decided I didnt want a single cable laying on the floor of the case and had to move them. So the one's adhesive was kinda flaky but it seems to be doing fine. :P Someone else mentioned you just have to email their support as theirs not a direct buy link for them. Great build and awesome name! It's named after the ship from firefly. I actually name all of my computers after star ships from my favorite shows. That's why it caught my atention, loved Firefly, too bad it was one season long! Awesome build, every aspect is perfect. What is it that you do that requires this much power? You have no idea how much I considered it. But my general inexperience with it kept me from going full bore. Same with me and desktop backgrounds. I'll stick to one (because I'm on ChromeOS and ChromeOS doesn't allow for backgrounds to change periodically like Windows does) for a couple of days (or hours), and I'll be on another after. I hope to see the next revision, and hopefully it's as good or much better! Nice build man. try checking the fan curves. mine stock wouldn't cool it effectively. changed them to reach 100% at about 70 degrees. if they are custom make sure the are reaching 100% 80 seems a bit to high to be running games. might run a little louder but at least you wont get any heat distortion and extend the life of them. I actually put some pretty aggressive profiles on with Afterburner. Its gotten better, the one card in stays under 75, the other.. She still gets to around 80, but I still have some room on that profile to play with. And I totally appreciate it! I actually had the same problem when I first finished this build. I had replaced MSI Afterburner with EVGA X Precision when I bought my 980ti's because one would think, an EVGA card would do better with EVGA software... But alas X Precision was terrible. The custom fan curves would never stick, or they would only stick to one card (even if applied to both) and it was totally killing me with temps and throttling. I switched back to Afterburner and things got considerably better. How loud is the system while idling and what are the temps? Thanks. Very very cool looking build and very well thought out. Awesome stuff! Sound wise you can hear it, especially being up on the desk, but its not too bad at idle, any kind of music, or video completely drowns it out. Awesome looking build! Congrats on the feature, and love the glow in the dark sleeved cables. what lengths on your custom cables ? They are all 60cm, which for this case is kinda long, but I bought them with some length so if I ever switched cases (maybe a caselabs monster in the future, I wouldn't need to order new cables. I would say 40cm-50cm would be sufficient for most places in this build. very nice, wish i had the cash to build stuff like this, at least someone can. You did an amazing job and deserve all the +1's. hahaha ehh its close enough! :P Its the thought that counts! Awesome Build, if i may ask, is it possible to send me a link to those to where you bought those backplates for the video card? Not a problem. Glad to help out! :) and thank you! I appreciate it! Hey CallOfSnowGolem. It can hold a total of 8 fans. Congrats for the beautiful build :) Here's an non usual question: the Creative Labs GigaWorks T40 Series II 32W 2ch speakers, are they awesome? I'm looking to have an excellent sound on gaming and on hearing music on the internet (i hear many styles of music like trap music, dubstep, pop, hip hop/rap, rock, hard rock, tecnho, house, etc). 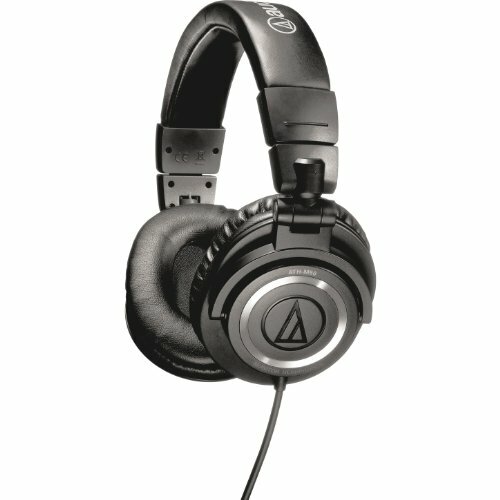 I looking for the greatest sound experience and i would like to know your opinion about it. 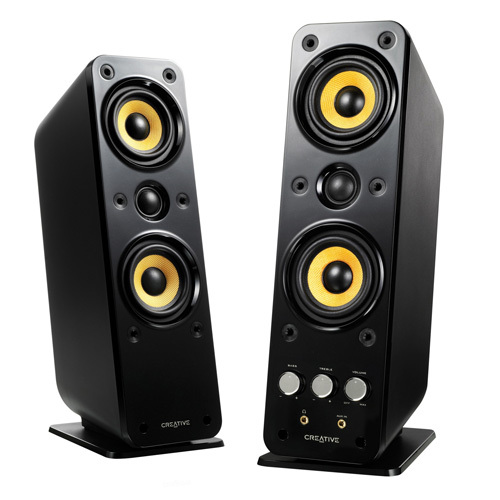 In regards to the CL GW T40 I like them a lot. They can get extremely loud, but they stay clear throughout the range. I also listen to a ton of music so that was also important to me when picking speakers. I listen to the same music you listed above and I think they play those types of songs extremely well. From a gaming perspective they are also incredible. I remember when I first set them up I turned them up about half way and fired a broadside from my ship in Assassins Creed - Black Flag. I almost fell out of my chair because it was so loud and amazing sounding. Like actual cannons firing. lol To give you an idea. I generally never have to turn the speakers above 15-20% volume. Some things to note about them: 1) Even though most pictures of the speakers down show it, there are mesh grills for the fronts of both speakers they are very nice and soft, and they completely cover the entire front (the 6 tiny circles on the front around the edge is actually were the mesh grills slot it) This completely hides the yellow bits, however if you like those the grill is completely optional. 2) The 3.5mm cable that comes with them, in my opinion, isn't shielded very well / isn't very thick. Which originally led to some distortion noises when no sound was playing. I ended up just swapping that out for a thicker 3.5mm cable I had laying around and haven't had any issues since. 3) These speakers have a "sleep" mode. Basically what that means is either A) when the computer turns on, or B) after a set amount of inactivity (no sound) the speakers will go into "sleep" or "standby" (you can tell because the blue light around the volume knob will go out) The crap part about this is once it detects sound, like you start playing a song, it takes a few seconds (2-3) before the speakers to come back on. This isn't really an issue for me, as either I just rewind that first song I want to listen to, or it kicks on during the launch screen of a game. It also isn't an issue if you manually turn the volume knob to off when your done and back on when you start using it (as that turns the speaker on regardless of sound output). Like I said, not an issue for me, but its something to know as it may be for you. ^_^ I'm done with the questions, huge thanks. I wish, i could upvote again your build, just for the excellent and detailed answer you gave me. And I probably should have elaborated on that a little more, the tape itself straight from the factory is fine and quite strong, the problem is if you ever need to move the strips it becomes weaker or comes off. (which I ended up needing to do) Its just a general knock on tape LED's over magnetized strips that i think their Bitfenix or Phanteks uses, I forget which. I actually used little double sided adhesive pads to fix them up so basically what you said! :P Some kind souls informed me in the comments though I can just email Lian-Li if i need replacements ordered! So problem double solved! Good question. I did it for a few reasons. While you are correct that in most cases a single card can handle 60FPS at 1440P on max settings there are some fringe cases where it can't, I also wanted this build to last a few years, so its also partly overbuilt now to hopefully keep those standards for at least a little longer than usual. In regards to my monitor choice, I'm not a huge fan of 4K on windows, applications (that arent games) scale like garbage, becoming pixelated, and 1440P is still comfortable to me without any scaling. I also really like the quality and attention to detail that Dell puts into its Ultrasharp's, its by far the best monitor I've ever owned. I also bought this particular model because of how small the bezels are. I plan on buying a second at some point the future, or switching to an ultrawide. For the less reasonable reasons I have two 980ti's are because... It filled in the case and I thought two looked better than one aesthetically and I had the money to blow. :P While completely unnecessary I tend to almost always have cross-fire or SLI cards in my builds, something about the look just excites me. Oh I totally agree that there are better monitors out there with faster refresh rates. But the style of this monitor definitely won me over. I love the clean, subtle, professional look it projects and overall the quality is almost unbeatable. I was looking at the predator series and Asus's ROG monitors. But the red accents. Ugh. Deal breakers unfortunately for me. I'm also not a fan of the "aggressive" look. Is it wrong that I would take the downgrade just for looks?! Because I tend to do that alot lol. I agree I can't wait for (side) bezel-less screens. And I really like alot of the parts you picked for your build. I love. LOVE. Phanteks Evolv cases, they are beautiful and great to build in. 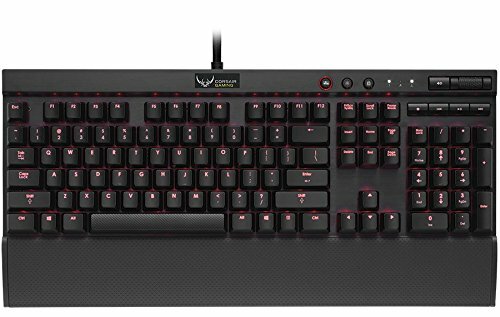 Are you going for a ROG style Red/Black/(white?) build?! If so, I can see a really beautiful build in the works with the parts you've picked. Also I didn't see CPU cooler but that's a pretty easy thing to match. Also that chair. I want. Finally, when you do start building. I recommend looking into ensourced cables over cablemod. Not that cablemod cables are bad. But the quality on ensourced cables is just out of this world and you get alot more customization in what you're getting. Regardless hopefully you get to start building soon! Ahh that makes sense. I saw some of the stuff listed at the bottom and must have glossed over the tubing. That sounds perfect. In regards to the red on the ROG HB SLI Bridge. You can probably take the shroud off of it. And either. Disconnect the red LED and paint over the red plastic with white. Just paint over it with white without disconnecting. Possibly sand off the red if it's done similarly to the Nvidia logo on reference cards or a mix of the above. That way you keep the logo but it shines white. I've done it before with decent luck. If you're not really dead set on that bridge you could always get EVGAS HB Bridge. I think it's silver/black and I'm pretty sure it's RGB this time around. And they do! I prefer them because the cables seem less rigid than cable mods or some of the other off the shelf cables. Like. In those cables you can see where it was twisted / bent in the shipping bag alot of the time. And that drives me insane. You can actually get a custom pattern for you cables (each cable can even be different) the lengths are up to you as well. (if you want to keep your system super clean and tidy) and he has multiple cable clip colors you can pick from he preinstalls. (usually between 2-4 per cable depending on the length you pick) it's a single guy out of I think Illinois? His stuff is really high quality and I really appreciate the attention to detail he puts into them.